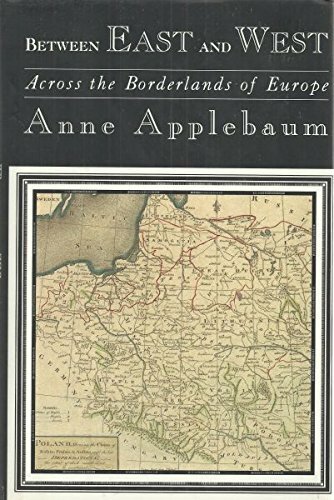 Anne Applebaum is a Pulitzer-prize winning historian and a columnist for the Washington Post. 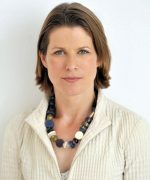 She is also Professor of Practice at the London School of Economics’s Institute of Global Affairs where she runs Arena, a program on disinformation and 21st century propaganda. You’ve chosen five books from central and eastern Europe that tackle communism and the historical traumas of the 20th century from a deeply personal perspective. What else ties them together? These are all books by authors who not only lived through a traumatic period of history, but who had the literary talent to describe and explain how it felt. When I’m trying to understand not just the facts of what happened in a particular time and place but the spirit of that time –the thoughts and emotions people had, the way they understood what was happening around them – this is the kind of book I try to find. One of the things you learn when you write history is that a historical trauma isn’t just an event that happens in the newspapers, it’s an experience that people live through, internalize, reflect upon and digest in different ways. Some are better able to transmit their feelings than others, and these five authors are among the best. They’re a pleasure to read, and they all have universal themes. They think about memory, about age and youth, about how people change over time – the kinds of subjects novelists wrestle with as well. Now that we’re well into the 21st century, how do you think we look back on the horrors of the 20th century with a little more distance? If you want to understand contemporary Russia or China, the events of the past century are an indispensable background. The minds, characters and identities of contemporary Russians and Chinese were formed by events of the recent past. If you want to understand them, then it’s useful to understand that history. It’s not about preventing evil, or not exactly: Evil will happen again. These kinds of events will always repeat themselves, and totalitarian societies are still with us. Today’s North Korea is very similar to Stalin’s Russia. The question is how we understand and identify these events as they’re happening, and how does that help us think about what to do about them. I’m not going to do the trite thing of saying “so it will never happen again”. The point is that they do happen and will happen, and understanding them better is why we read books and why we write them. Before we get into the books, will you set the scene of the borderlands areas we’re talking about, “between East and West” to use your phrase. These books are all from a part of the world which has always fascinated me: The region where borders and regimes change very frequently. This is a part of the world which contains cities like Lvov – a town known as Lwow before the war, when it was a Polish and Jewish city, and now known in the present as L’viv, a Ukrainian city. The city has changed its identity, its language, everything about itself within the space of 50 years. In this part of the world there are also regions, like Bukovina, where Gregor Von Rezzori was born, that don’t exist anymore – odd corners of the former Austro-Hungarian Empire which are no longer either Austrian or Hungarian. Once, this was also an ethnically mixed region, though that is no longer the case. The Second World War not only eliminated the Jewish population, it provoked an extraordinary wave of ethnic cleansing. People were shipped from one place to another. The Hungarians were expelled from Slovakia, the Poles from Ukraine, the Ukrainians from Poland, the Germans from everywhere. Poland, for example, now consists of 99% Polish-speaking Catholics, but that was historically not the case. 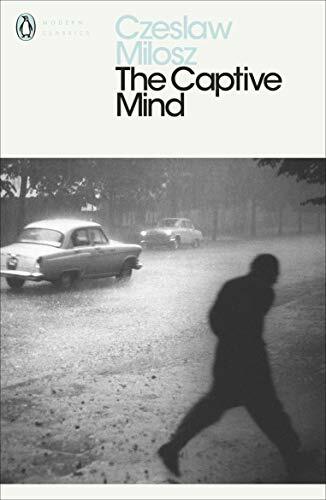 Tell us about Miłosz’s book The Captive Mind, to begin with. The Captive Mind isn’t a straight memoir. Although Milosz is writing about his own life and his past, he is also grappling with a larger subject: How his generation of liberal intellectuals came to collaborate with, and work alongside, the Communist party. And he is trying to understand his own behaviour: Why did I act that way? To explain, he uses an extended metaphor: “It’s as if we all took a magic pill, became temporarily enchanted and went along with this ridiculous thing.” Then he goes through some “case studies” of individuals’ behaviour – even though they’re not named in the book, we know who he was writing about – and tries to explain why people collaborated or opposed the regime. 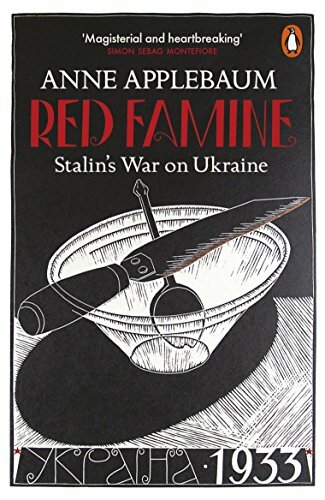 In essence, the book is about the mentality of collaboration with communism. In a nutshell, what is that mentality? Why did people go along with it? He gives a lot of reasons. He explains the shattering effect of the war in that part of the world, where the fighting was far more brutal than anything in Western Europe. Between 1939 and 1945, it was normal, in Warsaw, to see a corpse lying in the street. Moral norms were shattered, as all sorts of illegal activity became normal too. Good people robbed banks and planted bombs, on behalf of the Underground. After the war, many people felt they couldn’t just go back to the way things were before. They couldn’t just reconstruct 1920s or 1930s Poland, many felt: everything has been changed by this war and we need to start from scratch. Miłosz also talks about people who wanted their books published or their careers advance, people who collaborated in order to get ahead and join the new literary establishment. He is important to read because he’s simultaneously critical of his characters and sympathetic to them. It’s very difficult, now, to think back into that time, when people had very limited choices. If you chose to oppose the regime, that might mean you couldn’t get medicine for your sick mother, your children couldn’t go to school and you might get kicked out of your apartment. We don’t have to face those choices. Miłosz is very good at explaining them. Moving onto some of the atrocities of communism, A World Apart is a memoir of serving in a Soviet gulag. Gustaw Herling-Grudziński was a Pole who was captured by the Russians after their invasion of Poland in 1939. He wasn’t in the Gulag for long – only a couple of years, until 1941 – but what I like about his book is that, unlike many memoirs, it’s not just about his story or what happened to him. It’s more like a series of short stories, of the kind written by [Varlam] Shalamov or one of the Gulag novelists. Each chapter is a story about a different person or situation, together with an accompanying set of thoughts or meditations. 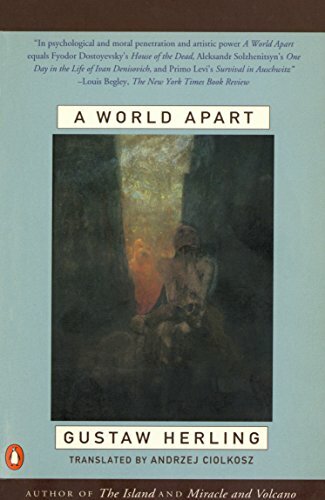 In this sense, A World Apart also resembles Primo Levi’s book about the Holocaust. Like Levi, he is interested in how different people reacted to the conditions of the camps. How did people fit into this new moral order? Did their good qualities survive? Did they become evil like the system? Did they keep their humanity or not? He doesn’t answer yes or no, but shows how people wrestled with these dilemmas. This is a memoir, but it’s also a book about human morality in an extreme situation. As you’ve written yourself, we must remember this wasn’t a unique experience but almost commonplace at the time. Many people were in labour camps of various kinds between 1938 and 1953. But not many wanted to talk about it in this kind of depth – not even Herling-Grudziński. At the end of the war, he writes, he was approached by someone who wanted to tell him a horrible story about his experiences in a camp, and he backed away: Now that he was free, he didn’t want to hear about it or be part of it any more. 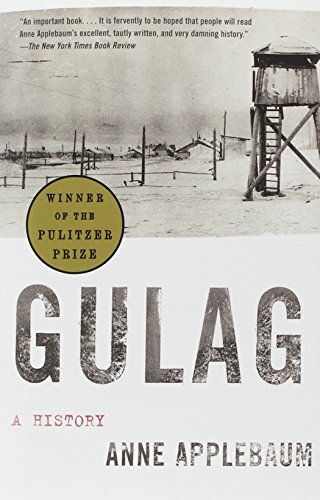 It’s one of the two or three best Gulag memoirs. And one of the first too – it came out 10 years before Solzhenitsyn’s A Day in the Life of Ivan Denisovich. It came our very quickly, right after the war. It lifted the lid, although it didn’t have as deep an impact as Solzhenitsyn. A lot of people didn’t believe it, they thought the author was naturally anti-Soviet because he was Polish. Next we have Sándor Márai’s Memoir of Hungary. Sándor Márai is one of the great Hungarian novelists. He was in Hungary during the war, and left in 1948. This book is about a neutral intellectual’s encounter with communism, and it records what he saw as it happened. Whereas Miłosz writes from the present looking back, trying to explain the past, Márai writes as if in the moment itself. His genius is for anecdotes. He tells, for example, the story of an elderly Jewish Hungarian’s first encounter with the Red Army. The man is overjoyed to see the Russians – they have rescued him from the Nazis – and even more enraptured to meet a Russian officer who is Jewish like himself. They embrace – it’s a heartwarming scene – whereupon the Russian turns everyone in the old man’s home to the wall, robs them thoroughly and walks away. It’s tragic and funny at the same time. Márai is of course an anti-Communist, but the book is somehow very unbiased – not vitriol, just description. He doesn’t pull any punches when it comes to what he views as the failure of the middle class to resist, their lack of what he calls “responsible national consciousness”. In some ways he’s as harsh on his own countrymen as on the Russians. Hungarians resist neither the Germans nor the Russians effectively. They too easily give in to persuasion and bribes. But he doesn’t make generalisations, he makes his points by telling stories. There is one about a Hungarian communist coming into a restaurant. Everybody readjusts themselves around this man, and swiftly accepts him as one of them. To resist must have been a very difficult and brave call to make. Difficult and brave. And also confusing: at the time things were much greyer than they seem to be in retrospect. The options were limited. Was it sensible to go to the woods, be a partisan and fight the Communists when you had no chance of winning? Was that a logical thing to do, and the best use of your life and resources? Wasn’t it better to accept the new order and move on? The solution wasn’t obvious, and people chose many different options. Tell us about the Gregor Von Rezzori. 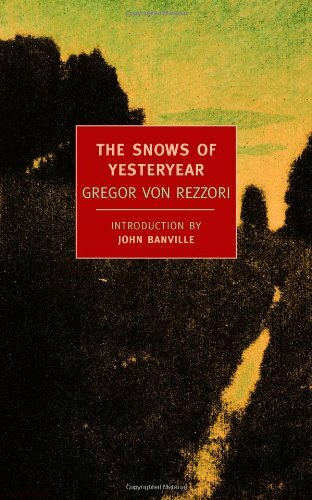 Von Rezzori’s most famous book is called Memoirs of an Anti-Semite, and it is also partly autobiographical. Like The Snows of Yesteryear, which is a straight autobiography, it evokes a time and a place that no longer exists. Von Rezzori is from Czernowitz, in Bukovina, where I’ve been – it’s described in my book Between East and West – in the far corner of the Austro-Hungarian empire. It was a German speaking town, and its architecture is still vaguely reminiscent of Vienna. And yet it’s now a located in a distant corner of Ukraine, where it languishes, a borderland city between nowhere and nowhere. I doubt very much if many people speak German there anymore. Von Rezzori’s central theme is the constant change of borders and nationality, and their impact on his childhood. 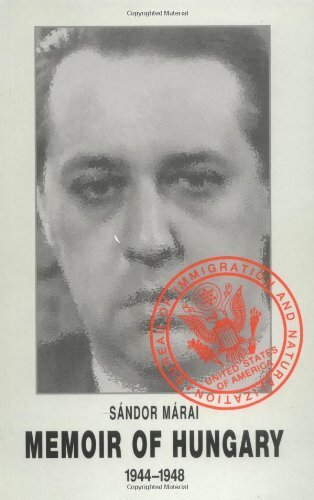 He was born an “Austrian,” then became a Romanian, though the Romanians didn’t consider him a “real” Romanian. In that part of the world, the experience of such shifts was once quite common. What is the impact on one’s identity to have borders change around you like that? It’s hard to generalise. In Between East and West, I describe an old man who was born in the Russian Empire, then lived in Poland, then the Soviet Union and then Belarus – all without leaving his hometown. To survive all of that, he attached himself to one of those identities, and defined himself as Polish. He absorbed himself in Polish literature, became attached to the Polish history of the region in which he lived and even wrote poetry about it. Rezzori’s book is also about other, more universal themes. His father was a nobleman obsessed with hunting, he was left alone much of the time with a neurotic mother, he kept getting kicked out of school. There’s a wonderful section of the book about his nanny, a Ukrainian woman who effectively raised him. Finally, let’s talk about the Nabokov memoir. I reread this last night, and I still think it’s one of the most beautiful memoirs ever written. 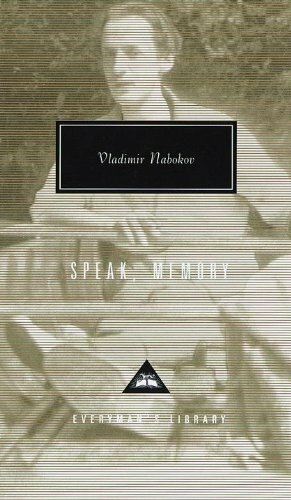 Although it’s not about the Russian revolution as such, it is permeated with a sense of loss and exile, as are all of Nabokov’s books. He evokes gorgeous countryside scenes of pre-revolutionary Russia, but at the same time has some distance from it – he recognises the awfulness of what he at one point calls his “rather appalling country” at the same time. Nabokov writes a great deal about his father, who was a liberal Russian politician – assassinated in 1922 in Germany – and had to leave when the Bolsheviks took over. It’s a different view of Russia than the one we usually read about. Nabokov’s milieu was neither the Czar’s inner circle nor the Bolshevik revolutionaries, but rather the Russian upper-middle classes who might have become a liberal intelligentsia but never got the chance. The book, from the 1920s on when Nabokov moved to Berlin and then Paris at least, is written from an emigré perspective. To what extent can we trust that perspective? It’s a memoir but it plays with the nature of memory and fact. But this is one of the central themes: the tricks that memory plays, and how, in the course of writing, things come back to you. While this is a book about a childhood in Russia, it’s also a book about how time changes what we think about things. You should certainly read it with a grain of salt. What is the legacy of communism, 20 years after its collapse in the USSR? 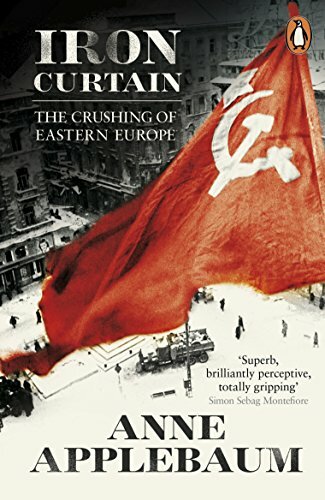 Communism was an ideology which defeated itself: it promised so much, and it delivered so little that at least in Eastern Europe, it became very obvious very fast that it wasn’t what it said it was. It also contained its own internal contradictions. It’s leaders said “we will bring prosperity to the workers,” and we will do so because Marxism is a science, not just a philosophy. But by the late 1940s, Western Europe had already pulled away from Eastern Europe, and was rapidly becoming more prosperous. Although East European communism took another 40 years to fall, it was almost immediately clear that it had not succeeded, according to its own definition. These were also regimes which set out to control everything – the arts, sports, education, politics. But that mania for control also had a fatal flaw: Any problem or dispute in any area suddenly became politicized. Workers going on strike were by definition striking against the system. If an artist painted a forbidden picture it was an act of dissidence. Communism’s vast ambition made it a curiously weak political order. We’ve been talking about 20th century traumas. What traumas do you think the 21st century holds? They’re all around us, already. We are witnessing mass ethnic murder in Syria right now. Ethnic, tribal and religious wars are raging in Iraq, Somalia, Sudan, Congo and Afghanistan. North Korea is a very sick and unstable society. Worse may follow. So we’re not learning from the past? We’ve learned a few things, but not enough. At least if you read books like these five you can empathize, a little bit, with what some people are experiencing today.